Kesari teaser: Akshay Kumar's forthcoming film Kesari, which is slated to release next month will feature Parineeti Chopra alongside Kumar. 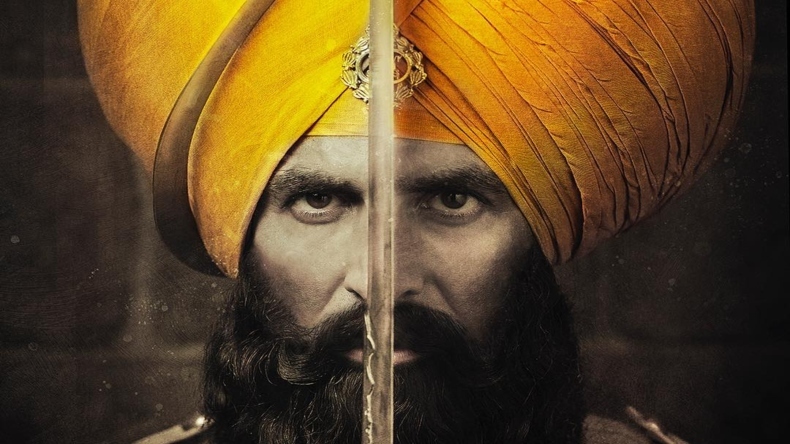 Recently the Kesari movie teaser of the period drama was released online and fans have gone berzerk with the excitement. The Rowdy Rathore of the industry, Akshay Kumar is all set to make his comeback in 2019 with a bang. With four films lined up, Akshay’s upcoming film’s teaser is out boggling the minds of the audiences. In the film, Akshay Kumar makes his first collaboration with Parineeti Chopra and is slated to hit the screens on March 21. Recently, the actor took to his social media account and shared a teaser which has created a buzz amongst the fans. The Anurag Singh directorial, Kesari narrates the tale of Havildar Ishar Singh who fought a war between an army of 21 Sikhs and 10,000 Afghans in 1897 while yearning for respect for his estranged daughter. The first look of the film was revealed by Kumar through his Twitter handle on 12 September 2018 while the second look was released on the Republic day on 26 January 2019. The official theatrical poster of the film was released on 11 February 2019. The glimpses of the film video were released by Dharma Productions today. The actor has established himself as one of the prominent actors of the film industry. Akshay has also been imparted with the sobriquet Indian Jackie Chan as he has worked as a stunt actor and prefers to perform the dangerous stunts in his film on his own.